Hard to Find Parts in Stock. One Stop Shop for all your Military Parts. The Quality Policy of Relli Technology is to assure that only material which conforms to our customers’ specifications and requirements is shipped from our facility. Our Quality System meets standard ISO 9001:2008 and is certified by ABS Quality Evaluation. 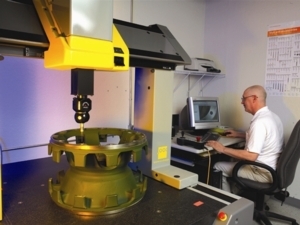 Relli physically inspects and tests each lot of material and/or collects objective evidence of conformance to the customers’ specifications and requirements. The calibration of measuring and testing equipment is performed by external laboratories meeting the requirements of the American National Standard for Calibration ANSI/NCSL Z540-1 94, and providing certified documentation traceable to the National Institute of Standards and Technology (NIST). State-of-the-art equipment like the Brown & Sharpe Mistral Coordinate Measurement Machine enhances our capability for inspections. Lot identification and traceability is incorporated into the Relli System by controlling that both material and documentation are always a perfect match. The system only allows for shipment of materials conforming to customer’s specifications and requirements.